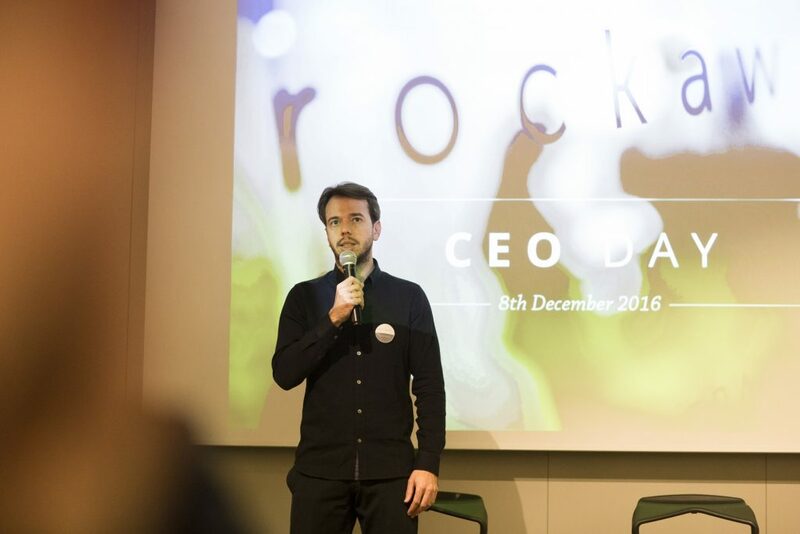 At the beginning of December, CEOs and other top executives and experts of Rockaway’s portfolio companies gathered together at the fourth “CEO’s Day” event to discuss the latest developments and news, exchange experience and get update on the future strategy and outlook of the group. The meeting was opened by ROBERT CHMELAR, investment partner at Rockaway, who summed up crucial changes and progress which occurred in past six months and provided an update on the general vision and strategy of the group. “We expect to continue consolidating and strengthening our position in CEE, as well as expanding outside the region. Rockaway is no longer just a local player,” Chmelar said. This was followed by a panel discussion moderated by the Chief M&A Counsel and the newest Rockaway team member JAKUB ROD. JAKUB HAVRLANT (as CEO of Mall Group), TOMÁŠ BRAVERMAN (CEO of Heureka), MICHAL DROZD (CEO of Invia) and MERGIM CAHANI (CEO of Gjirafa) discussed challenges of the past 6 months and exchanged their opinions on the outlook of our industry. Panels with similar set up are relatively rare and typically held in a much more formal atmosphere. This is “Rockaway CEO’s Day – 8th Dec 2016” by Rockaway Capital on Vimeo, the home for high quality videos and the people who love them. Another investment partner VIKTOR FISCHER summarized last six months for Rockaway’s venture division. “These months were demanding, but all members of Rockaway Ventures are doing great. ProductBoard, Brand Embassy, Socifi, as well as about the others including Bileto got a lot of attention in the VC community and we have managed to increase the value of the venture portfolio several times. At the same time, we have learned many new things,” Fischer said. New faces in the portfolio also got an opportunity to introduce themselves, including TOMÁŠ ŠEBEK, the founder of uLékaře.cz. 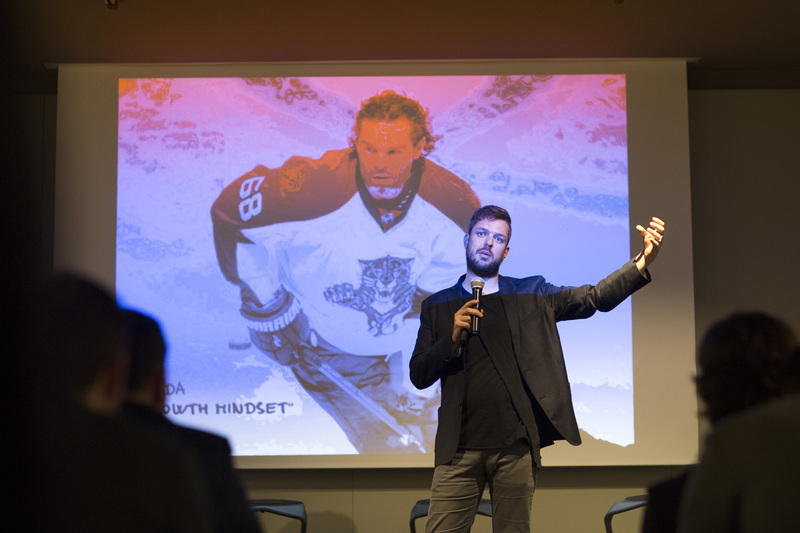 Towards the end of the official part of the event, PETR LUDWIG, our external guest, talked about how one should work with his own mindset in order to be happy and get better results. “If we change the way of thinking from “fixed” to “growth”, our life will change for the better”, Ludwig said. This is “Rockaway Live – 8th Dec 2016” by Rockaway Capital on Vimeo, the home for high quality videos and the people who love them. The evening part of the program was informal. The after party called “ROCKAWAY LIVE” was attended by many friends, colleagues, business partners and Rockaway team members. Once again, we would like to thank all of them for being with us.